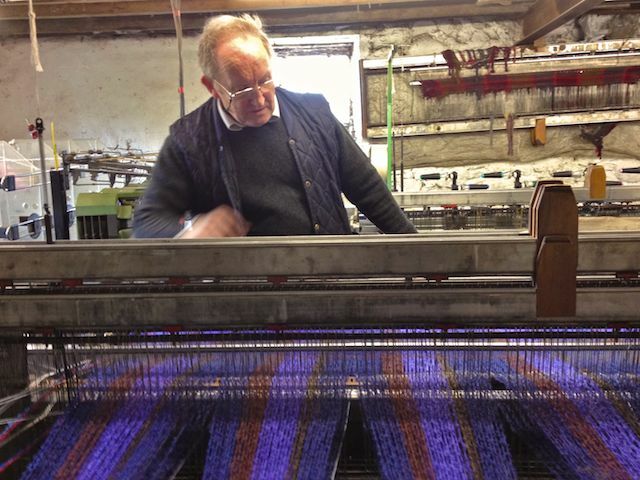 Zwartbles Wool Forthcoming ZSA Irish Branch sales/events. 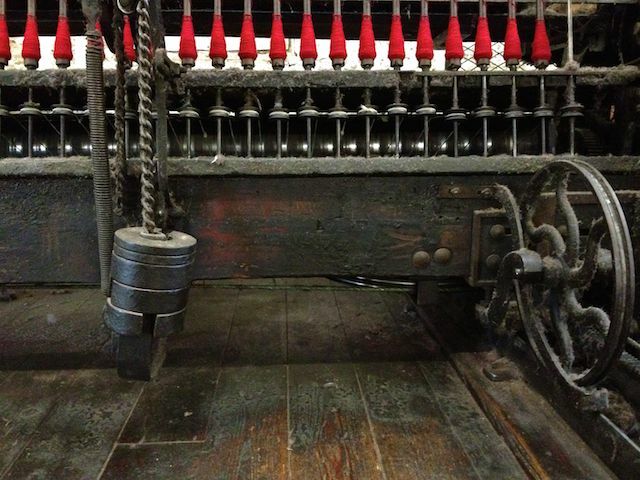 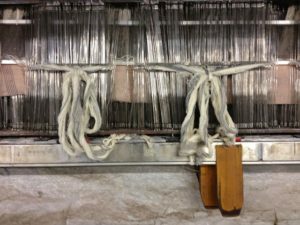 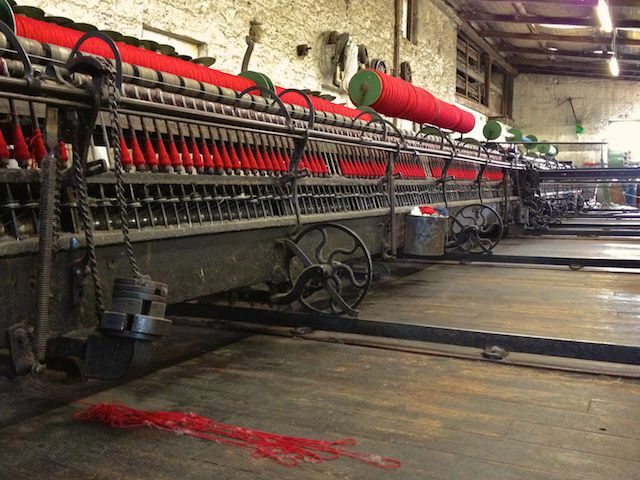 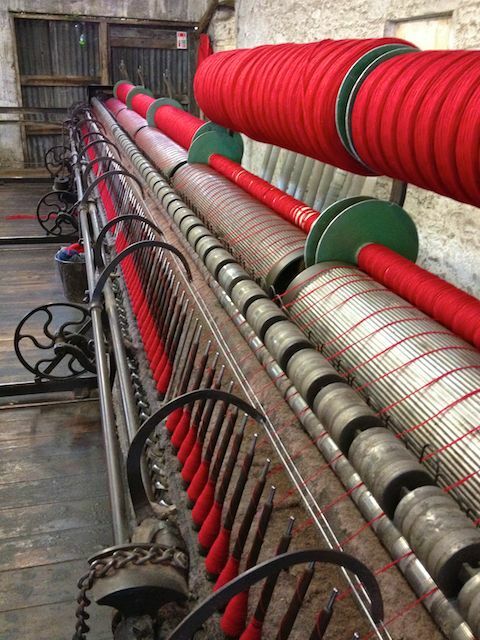 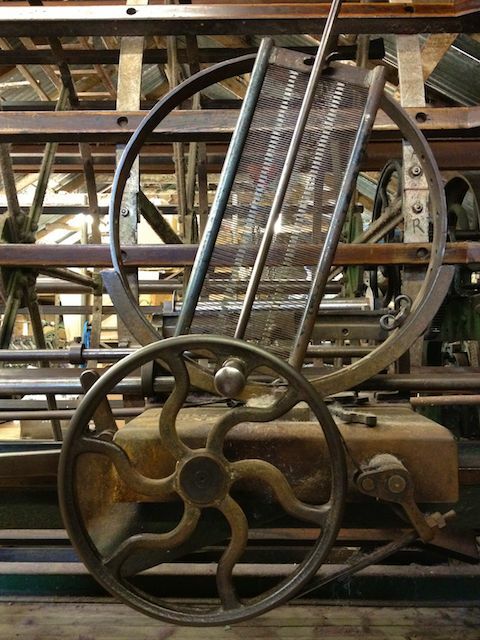 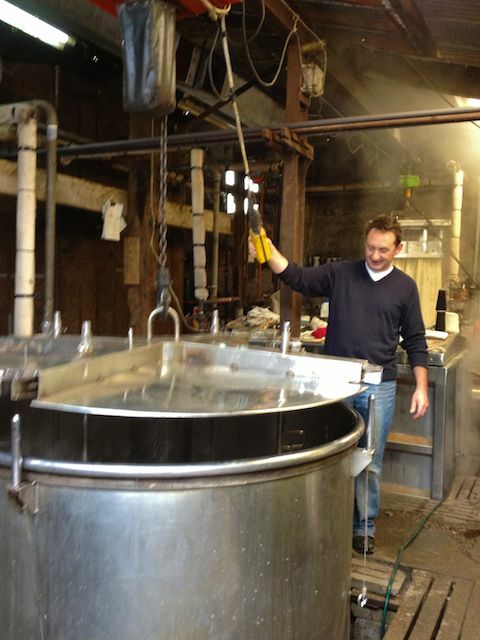 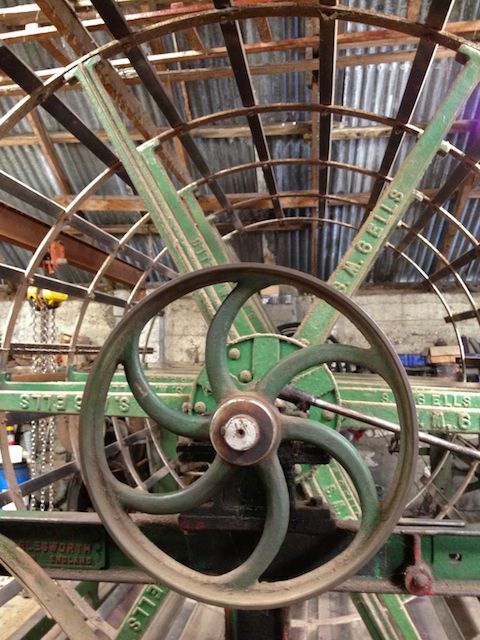 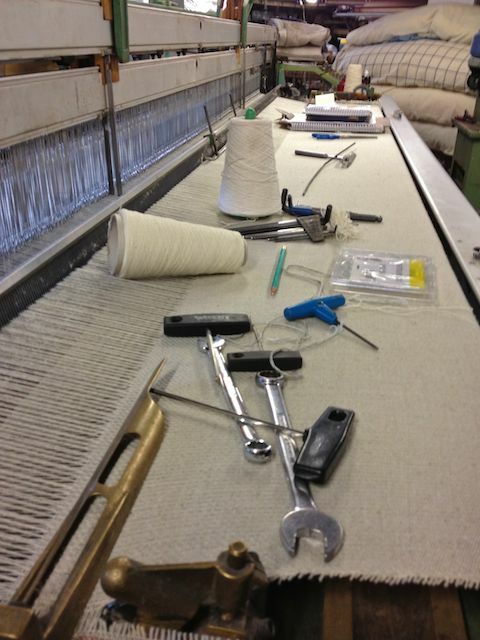 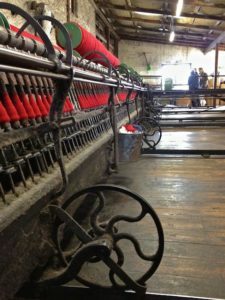 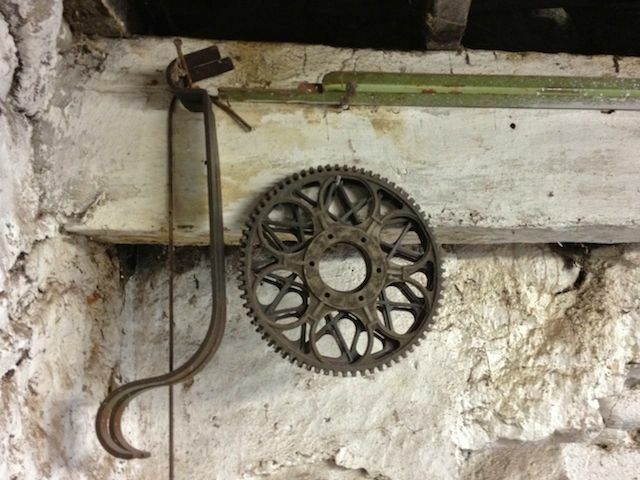 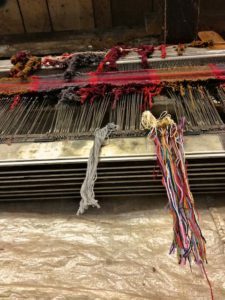 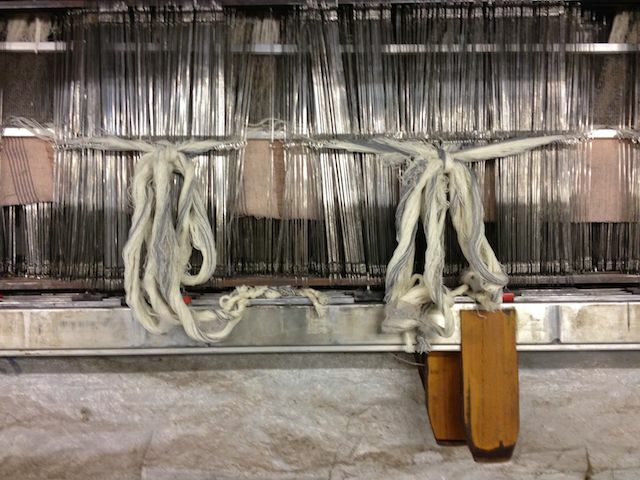 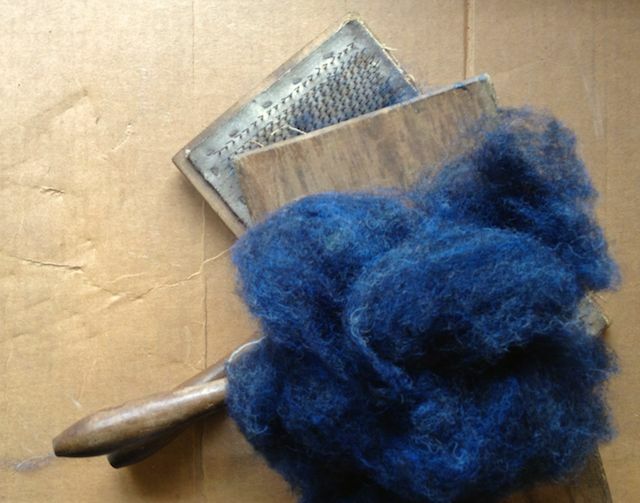 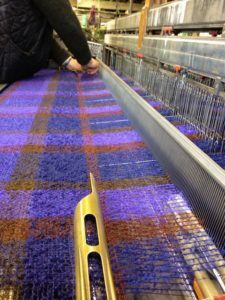 A visit to the Cushendale Woollen Mills is a wonderful experience you feel like you’ve gone back in time. 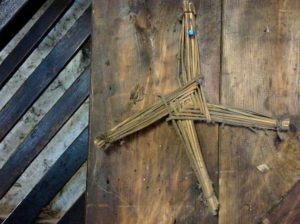 and the smell of turf or wood smoke that would have hung in the air on this chilly April day down in the Barrow River Valley Village of Graig-na-managh, (The Monks Village) in County Kilkenny. 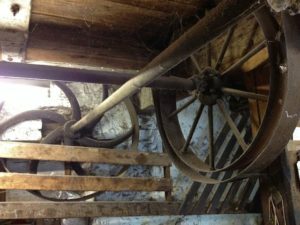 In 1204 the Cistercian Monks discovered the pure water quality of the River Duiske, a tributary to the River Barrow, and built their Monastery & Mills. The small village grew up around the Abby thanks the prosperity of the wool industry. 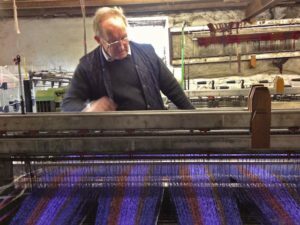 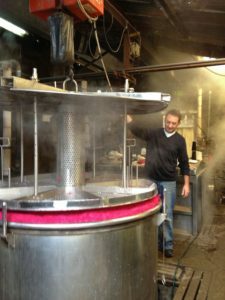 Philip Cushen’s family have been milling wool in the area since at least the 1800’s, purchasing one of the original Abbey Mills in 1925. 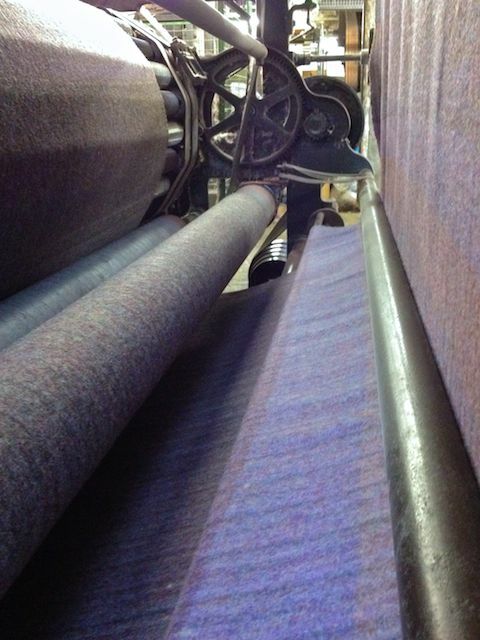 Afterwards it’s moved through a corridor to another room were it is hand fed into the carding Machine. 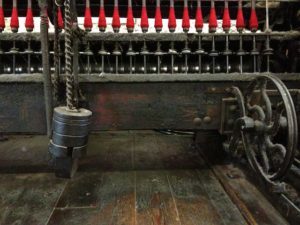 After carding it is brought up to the spinning loft on long bobbins which are then threaded to the spindles of the spinning machine. 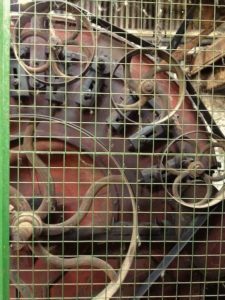 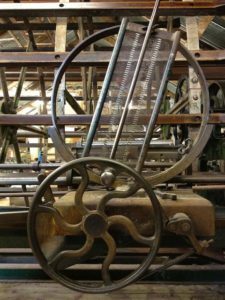 This wonderful spinning machine then trundles back and forth across the old wooden floors filling the spools with spun yarn. 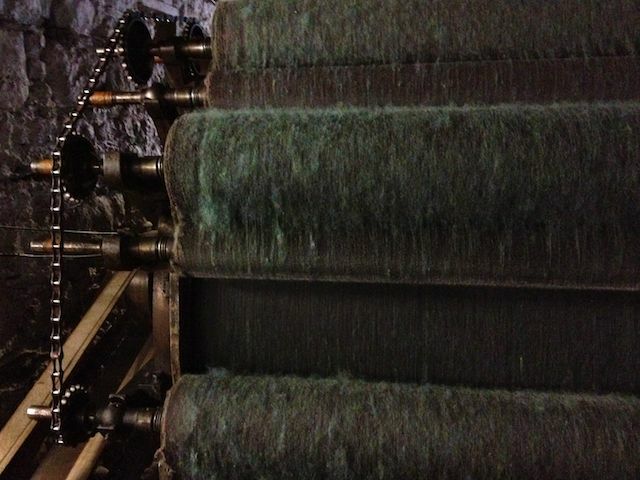 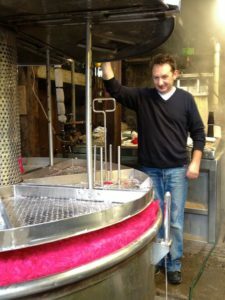 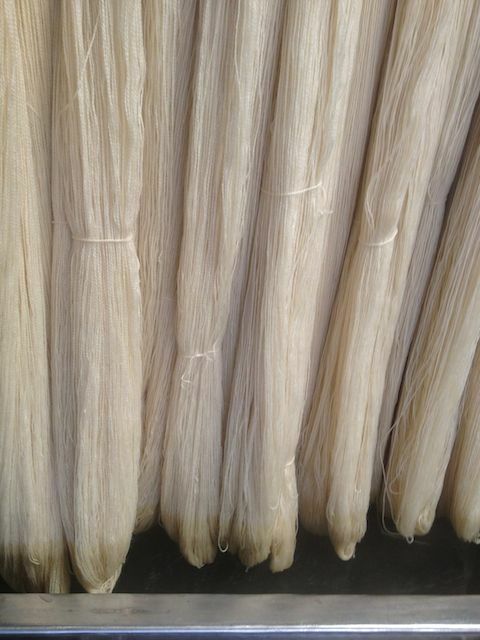 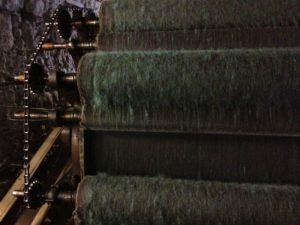 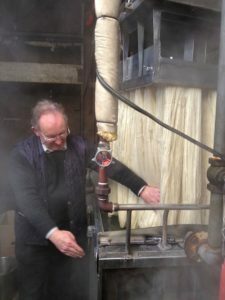 Once the wool has been spun it must rest for a few months before knitting or weaving, this conditions the spun yarn and helps improve its quality like a fine wine. 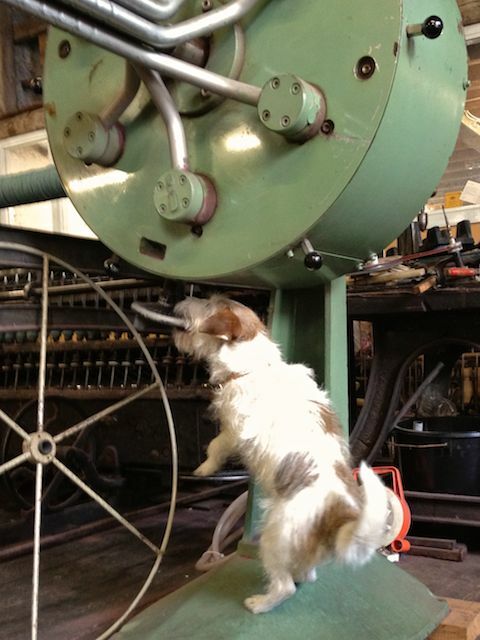 The Millers Assistant 'Pip' Controlling the Jumbo Hank Carrier. Before weaving the different colored spools of yarn are threaded through this narrow slotted reed in its pattern for weaving, it’s then wrapped around a huge reel. 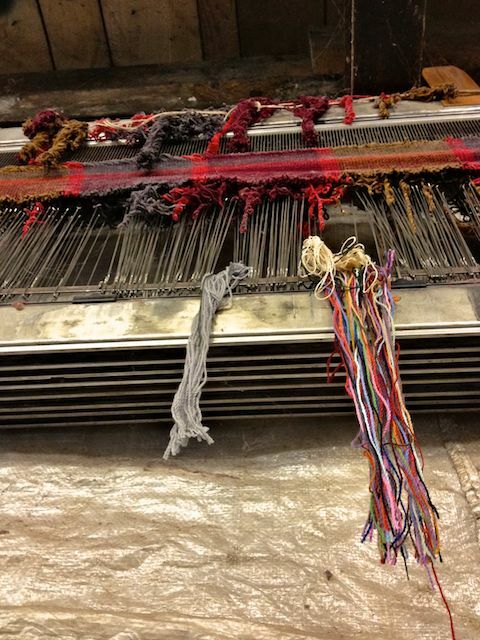 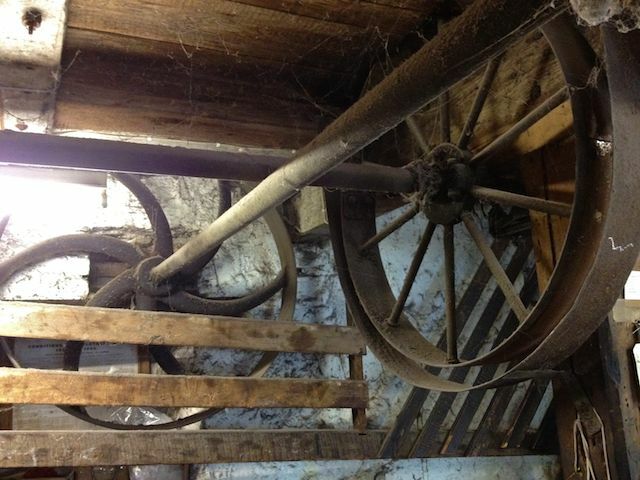 Once again the yarn is moved, this time lowered through a trap door in the floor into the weaving room below. 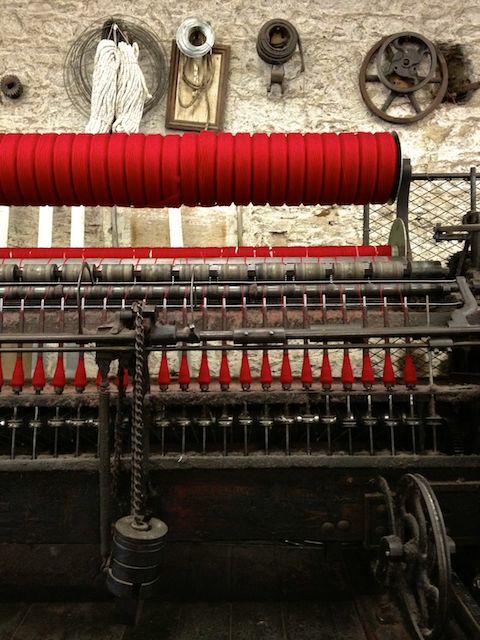 There are quite a few looms working away, weaving rapiers flying creating wonderfully colorful fabrics. 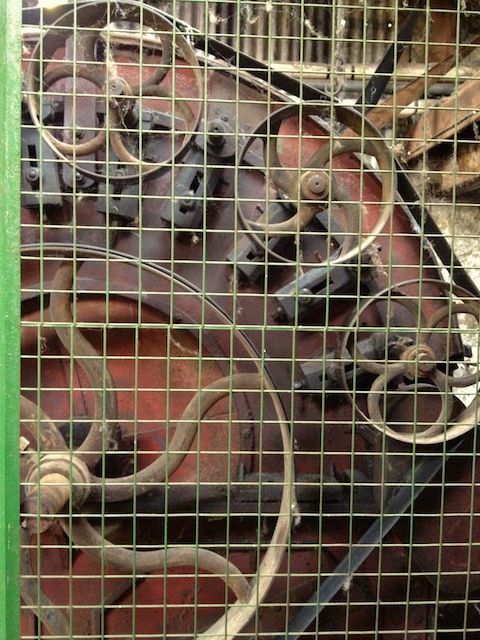 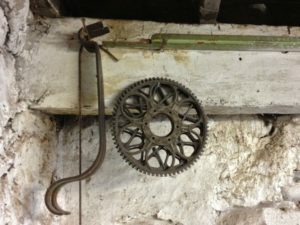 There are some modern machines in use but most of all one is left with the sounds of clanking, clicking, banging, rumbling and the swish of the flying rapiers. 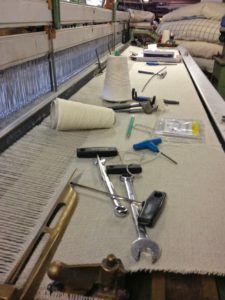 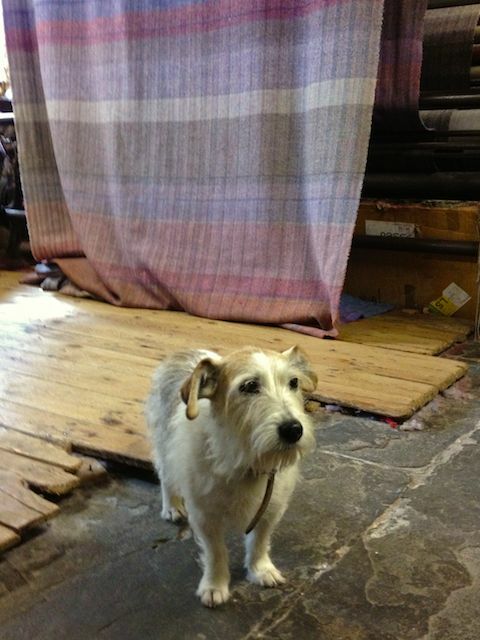 I hope you have enjoyed my tour in the Cushedale Woollen Mills and now know where the Zwartbles wool you are waiting for will be process in preparation for your felting, spinning, and knitting. We shall also be producing a limited number of pure Zwartbles wool blankets.